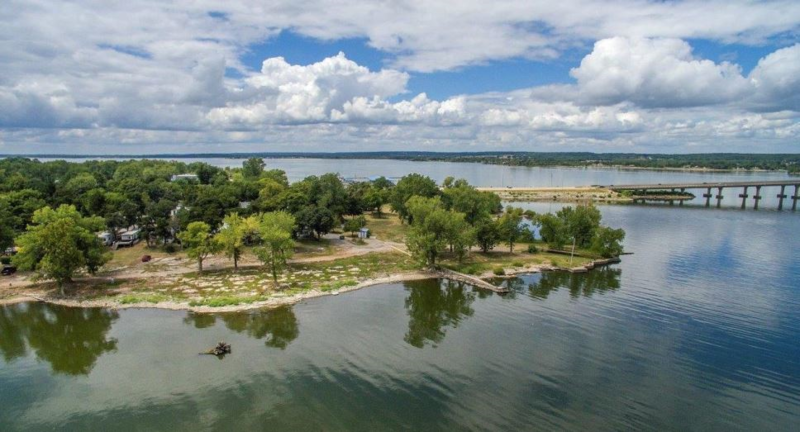 PRIME WATERFRONT DEVELOPMENT PROPERTY - 13.5 ACRES with 2,440 feet of WATERFRONT. Approx 500+ feet HWY frontage. Three boat ramps, City water and sewer. Gorgeous views of Sailboat Bridge and sunrise on Grand Lake. Park-like setting with room for your project. Great in-town location. Long-term owner is ready for your new development. Lots of possibilities. Currently mobile home park, and does well as that.